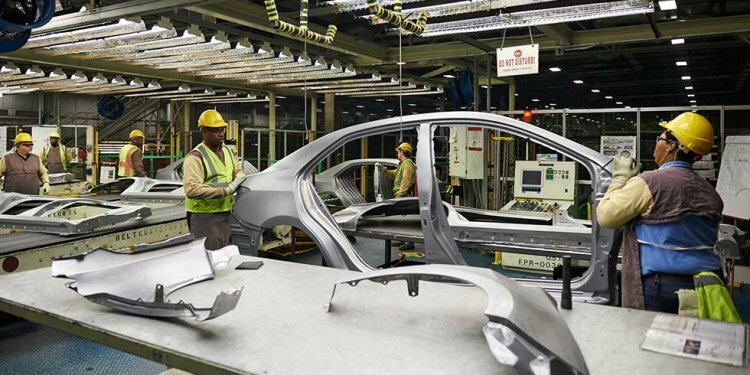 Toyota Motor Corporation's vehicle production system is a way of "making things" that is sometimes referred to as a "lean manufacturing system" or a "Just-in-Time (JIT) system, " and has come to be well known and studied worldwide. This production control system has been established based on many years of continuous improvements, with the objective of "making the vehicles ordered by customers in the quickest and most efficient way, in order to deliver the vehicles as quickly as possible." The Toyota Production System (TPS) was established based on two concepts: The first is called "jidoka" (which can be loosely translated as "automation with a human touch") which means that when a problem occurs, the equipment stops immediately, preventing defective products from being produced; The second is the concept of "Just-in-Time, " in which each process produces only what is needed by the next process in a continuous flow. Based on the basic philosophies of jidoka and Just-in-Time, the TPS can efficiently and quickly produce vehicles of sound quality, one at a time, that fully satisfy customer requirements. Since a machine automatically stops when processing is completed or when a problem arises and is communicated via the "andon" (problem display board), operators can confidently continue performing work at another machine, as well as easily identify the problem's cause to prevent its recurrence. This means that each operator can be in charge of many machines, resulting in higher productivity, while continuous improvements lead to greater processing capacity. - Making only "what is needed, when it is needed, and in the amount needed!"